This month we had the great privilege and pleasure of hosting a number of world class doctors at Golden Sand Bay Hospital for our 2nd International SPDT 4 LIFE Conference on Holistic Anti-Cancer Therapies. A few of these doctors are pictured in the photo above. We had experts present from Singapore, Indonesia, Australia and China on subjects including SPDT, Integrative Health Assessment in a Clinal Setting, Immune Therapy in Cancer Treatment, Pancreatic Proenzymes in Cancer Therapy and Electric Field Treatment. 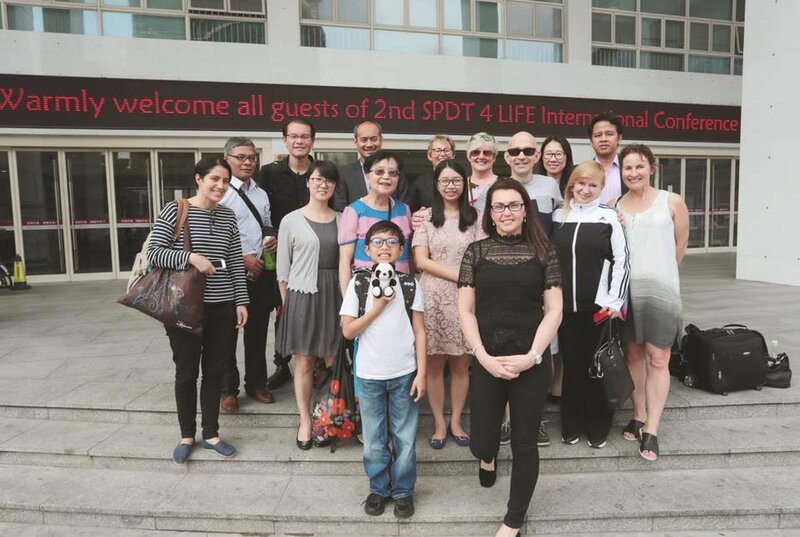 The conference was a great success and very well received by all, including doctors from other hospitals in China, who were most impressed with the holistic approach that SPDT 4 LIFE takes towards the successful treatment of their patients. One such patient is Ms Chen a 69 year old Chinese resident who has pancreatic cancer. We take a closer look at her incredible story in this month’s newsletter. Ms Chen, a Chinese resident from northern China, had been complaining to her husband for months that she was suffering from a nagging back pain that just wouldn’t go away. Her husband Mr Lan took her to their local GP where she was diagnosed with diabetes. Unfortunately whilst Ms Chen did have diabetes there was something much more sinister at play causing her debilitating back pain. Over the next eight months the pain grew worse and she began to rapidly lose weight – a total of 20 kilograms in all. Over this same period she was losing her sense of taste, had no energy and her back pain was so bad that she spent most of every day in bed. Clearly this was not just diabetes – her doctors just didn’t know it yet. In May of this year, Ms Chen was admitted to a local hospital for treatment of her diabetes. It was at this time that her doctors performed more tests and the true cause of her condition was identified. A pancreatic tumour was detected by ultrasound of the liver and spleen, and several metastases were also found in the liver. The following month, she was admitted to SPDT 4 LIFE at the Golden Sand Bay Hospital for cancer treatment. Here Dr Wang and his team performed a PET and CT scans to accurately ascertain the extent of Ms Chen’s cancer. These and other tests confirmed the primary cancer as pancreatic, with metastases in the lymph nodes, liver, and lungs. At this point Dr Wang and his team started Ms Chen on a treatment protocol of SPDT (Sono Photo Dynamic Therapy) plus HIFU and low-dose chemotherapy combined with adjuvant herbal medicines. Over the next 9 weeks Ms Chen received three cycles of treatment. During this time her physical strength gradually returned and the pain in her back improved so significantly that her pain medication was no longer needed. Her sense of taste was slowly recovered, and her appetite improved significantly also. Ms Chen was now able to ride the exercise bike in the temporary exercise therapy zone at SPDT 4 LIFE and undertake exercise therapy as prescribed by her doctor (as seen in the photo below). This is in stark contrast to when she arrived at SPDT 4 LIFE and was bedridden for the majority of the day and in so much pain she could not even contemplate exercise of any kind. A PET scan taken after the first 3 cycles of treatment showed that all of Ms Chen’s lymph node tumours had gone, most of the tumours in the lungs and liver had gone and the primary tumour in the head of the pancreas had reduced by more than 50%. Ms Chen and her doctors were extremely pleased and encouraged by these results and the progress she had made. In consultation it was decided that she would have two more cycles of treatment in an attempt to further eliminate the cancer. On completion of these extra two cycles, further scans and tests were taken which showed the primary tumour had now shrunk by 80% and no other tumours were detected. At this point the doctors advised Ms Chen she could go home and continue a form of “in-home treatment” that included natural and targeted therapies. Since returning home Ms Chen is recovering well and has no more pain. She has returned to her normal day to day activities and continues to go for walks and exercise. She is in regular contact with the doctors at SPDT 4 LIFE who continue to support her in her on-going home treatment. Our doctors have recommend that she stay on her current protocol, work with her local doctors so as they can closely monitor her and come back to SPDT 4 LIFE for further SPDT treatment in 2 – 3 months time. 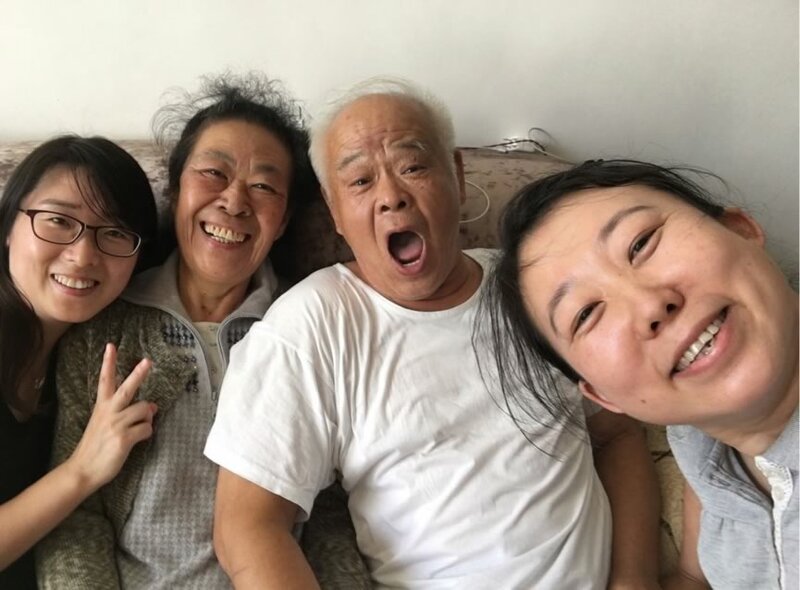 Not surprisingly Ms Chen and her family are extremely pleased with her results and grateful to Dr Wang and the team at SPDT 4 LIFE for the outstanding treatment she received whilst under their care for what is universally known as a very difficult and lethal form of cancer. With ongoing treatment that may include immunotherapy and natural therapies her doctors predict that her life expectancy will be much longer than that of patients that have been treated with regular conventional therapies. 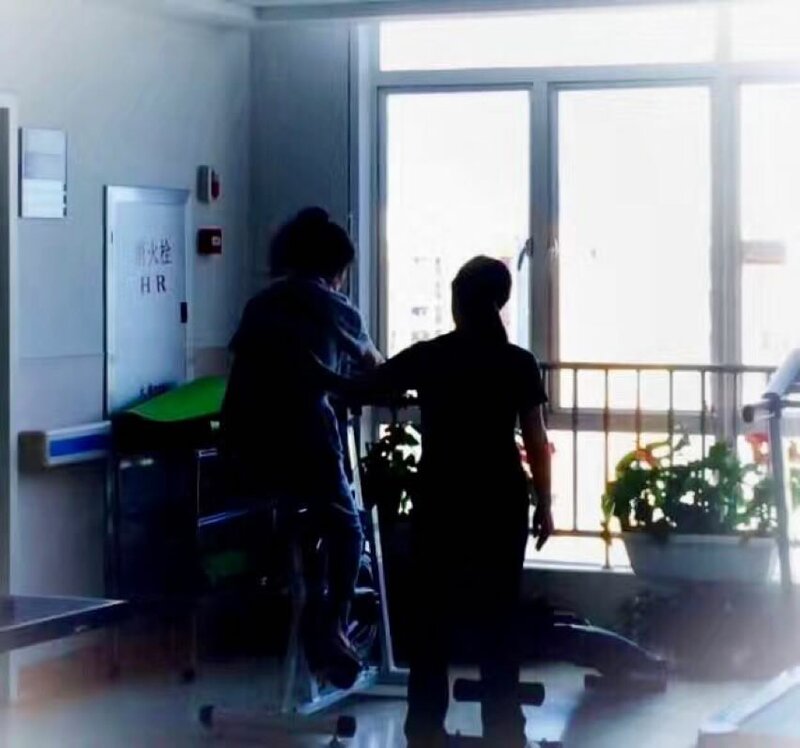 Whilst her quality of life is good and she is not in any pain and the treatment is working there is much reason for celebration and hope for Ms Chen and her loved ones. We invite all those who have been touched by cancer and are seeking treatment for themselves, or another, to contact us and learn more about our holistic treatment programs. We have had great success with helping many patients who have been given no hope elsewhere, and look forward to helping many others on their journey back to optimal health. Below are PET scans of Ms Chen’s liver and pancreas taken after the first 3 cycles of treatment on 07/06/2017 (images on the left of each page) and again after another 2 cycles of treatment on 28/7/2017 (images on the right of each page). The top 2 sections of each page show the tumours in dark spots highlighted with a red arrow. In the bottom section of the page the tumours are yellow which shows the tumour activity. The lack of yellow in the later scans on the right indicates that there is either no tumour activity as in the case of the liver tumours and in the pancreatic tumour this obviously means the tumour size and activity has reduced significantly. Ms Chen’s recent blood serum/tumour marker report shows that her tumour markers have greatly improved and are mostly back in the normal healthy range. Her CA 72-4 is slightly elevated and her CA 19-9 is still high but is coming down and is much improved compared to previous tests.